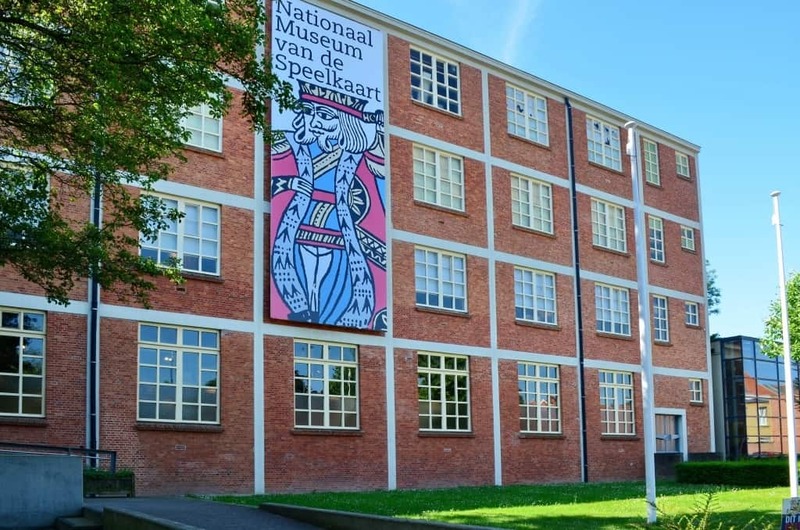 The Nationaal Museum van de Speelkaart was founded in 1969 in Turnhout (Belgium), a major centre for playing card manufacture. It is housed in a large industrial building the main part of which was built by the Mesmaekers firm in 1926 to house its expanding business activities as a printer and playing card manufacturer. The historic buildings were completely refurbished in 1998-2003 and an extension was added to house the museum’s historical steam engine. The museum posseses the largest collection of playing cards from Turnhout and the historical Low Countries. Though the oldest original pieces date from the early 16th century, the emphasis is on the industrial era (from the 18th century to the present), the period during which playing card manufacturers based in Turnhout established their reputation. As most of their card games were destined for export, the museum now hosts items from all over the world. Based in a city of printers, it is hardly surprising that the Museum pays particular attention to technology. 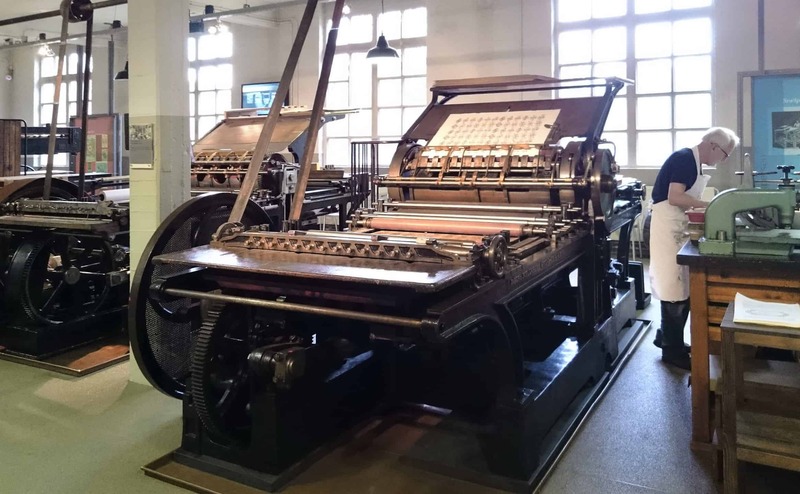 Its permanent collection includes a wide range of authentic printing presses and other machines used in image reproduction and printing and even includes a unique – and gigantic – steam engine. Trained printers operate the machinery on fixed days in the month in order to demonstrate the entire printing process. Explanations are given in Dutch. The most recent extension to the Museum was a brand-new department within the permanent exhibition composed of two galleries: the 5 of Hearts and the Room of the Future. The Devil’s picture book deals with some unpleasant side effects of card games: quarrels, fraud, blasphemy, murder and manslaughter. But then the Church interferes. Learning and pleasure shows how artists use cards as a source of inspiration and how playing cards help to educate people and spread satirical messages. Freedom or death takes us back to the French Revolution. The king is sent to the guillotine and so disappears from card games. At least for a while. Europe is plagued by wars. Fortune tellers exploit these unstable times and use playing cards to tell people’s fortune. In the 19th century both ‘romantics’ and ‘Victorians’ play card games with the family. Not all games are equally innocent, though. The fifth and final theme zooms in on the back of the playing card, which is used, among other things, for advertising purposes. The Room of the Future. Those who want some action after all the stories of intrigue in 5 of Hearts will have plenty options in the Room of the future. This room was developed in cooperation with Cartamundi, a world leading manufacturer of playing cards and board games. Visitors can test playing card apps, take part in a digital quiz, play a memory game, consult an interactive time-line cloud and dress up to take the most original selfies. Playing cards not only have a fascinating past, but also a great future!